With the Turnbull-Morrison government facing its Waterloo, we thought it best to look back and attempt to define their complicated legacy. It is hard to think of a single notable achievement for which the government will be credited or remembered. If we take another government as ideologically driven as Whitlam’s—albeit from a different vantage point—in this case John Howard’s, we can still recall a significant range of policies and changes. Chief among these was gun control. In 2016, if we vaguely recall, there was a double-dissolution election—but could many voters even remember why? Ah, the trigger was the ill-fated Australian Building and Construction Commission, which did not even feature during the election campaign. 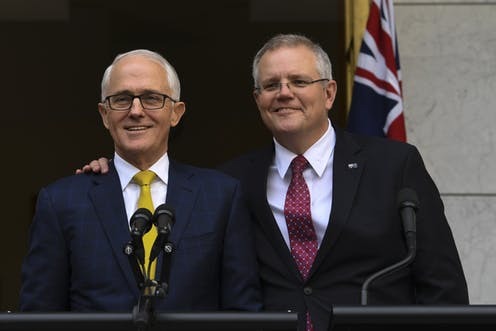 Perhaps the greatest missed opportunity of the Turnbull-Morrison era has been a consistent failure to adequately represent the concerns and issues of the centre-right of Australian politics. Any lasting achievements that seem to have happened were only because the government was either forced to, or reluctantly accepted it needed to, make changes. On the banking royal commission, Morrison—a political leader resolutely wedded to remain on the wrong side of history—had initially described it as a “populist whinge”. Any systemic changes to the banking sector will emerge, in spite of, rather than because of the government’s actions. In stark contrast, German Chancellor Angela Merkel enabled a parliamentary vote but then voted against it—a more principled position than the unnecessary plebiscite. This was a government that consistently showed it was behind public opinion on a range of issues. Many public servants across a range of portfolios were busily, professionally carrying out a range of important policies and programs out of the media glare. This reflects a long-standing view of government as policy incrementalism—carrying out the everyday, important, but unglamorous work of running the country. Dr Rob Manwaring is a senior lecturer at Flinders University in Adelaide, South Australia. Before completing his PhD in Australia, Rob was a senior policy adviser at the UK's Commission for Racial Equality. Rob teaches and researches in the areas of politics and public policy.